“Another thing” is a series of occasional posts, each presenting a particularly interesting, beautiful or unusual object on display at one of the museums or sites on our tours. Bronze figurine of Athena Promachos, ca. 600-575 BC. Archaeological Museum of Himera. As always, have a look at the image and take it in for yourself before reading what follows. Our image shows a small bronze figurine, just about 20cm (8″) in height, depicting a female wearing a long tunic-like garment and a crested helmet. 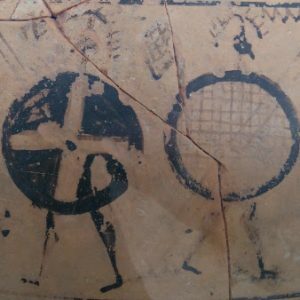 On a closer look, it is clear that she has lost an item once held by her right hand, most probably a spear (the piercing through her fist is clearly visible), and a shield attached to her left arm (the posture suggests this, as do traces of an attachment to the arm). Her eyes are wide open in a fierce stare, her mouth is frozen in a version of the “Archaic Smile“. Simple enough, but as all the objects we show you in this series. she has a story to tell – or several. Let me introduce you to the goddess Athena. Usually known as the ancient Greek goddess of wisdom and war, and the patron deity of the city of Athens, she is of course a key figure in Greek pantheon (the Romans knew her as Minerva). Greek gods are complex and can appear in many variable roles and contexts. The figure you are looking at is clearly Athena Promachos – Athena, the leader in battle, or more literally Athena, who fights in front. More often than not, Greek gods were given additional titles after their name, to specify the aspect of human life they were associated with at a particular shrine or in a particular ritual. Athena Promachos was very well-known in antiquity, because a huge statue of her, by the famous sculptor Pheidias, was placed on the Athenian Acropolis around 456 BC, also bearing helmet, shield and spear. Our figurine, however, is not from Athens and much older. She’s from Himera on Sicily, and probably dates to not long after 600 BC. In some ways, she can be seen as prophetic of that city’s history. For us, she opens up two very different stories, one about the object itself, the other about Himera and her fate. The figure is a typical high-quality bronze votive, i.e. an item made for dedication to a deity of the Early Archaic period. It marks an advanced point in the developing technology of Greek bronze-working technology: with the exception of the attached pieces (now missing), the figure was cast as a single piece, in the lost wax technique. Although she can claim a long ancestry of mostly very simple bronze figurines, often found in sanctuaries, at the same time she marks a relatively early point in the development of Greek sculpture, a transitional point between fully stylised modelling and slowly advancing anatomical realism. Full-sized bronze statues were only to become a possibility a generation or two later. She is also an early example of what was to become a common iconographic motif – similar images of Athena Promachos are found in many areas and over many centuries. Bronze figure of Athena Promachos from the Acropolis of Athens, ca. 500-470 BC. As such, the figure illustrates Greek culture in Sicily at this early stage – an illustration modest in size, but no less significant than the later great Greek temples Sicily is famous for. It shows that Himera was part of the cross-Mediterranean network we recognise as the “Greek world”, with similar cultural expressions occurring in Sicily and Southern Italy, Greece, the western shores of Asia Minor and parts of North Africa, reflecting similar beliefs, lifestyles, artistic and technological trends, and so on. Indeed, our figure would not be out of place in any of the areas I mentioned. 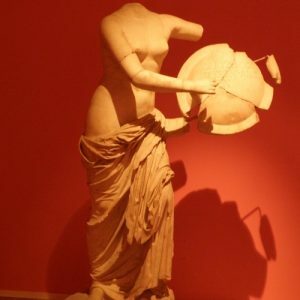 As stated above, she is on display in the archaeological museum of Himera, a city whose fate she foreshadows. Himera, located at the centre of the northern coast of Sicily, was a Greek sub-colony. A what? Let me explain: the historical development known as Greek colonisation entailed a movement of emigration from Mainland Greece and its islands and the foundation of new cities in the Eastern and Central Mediterranean, leading to a wide geographic distribution of Greek culture, beliefs, lifestyles and language. 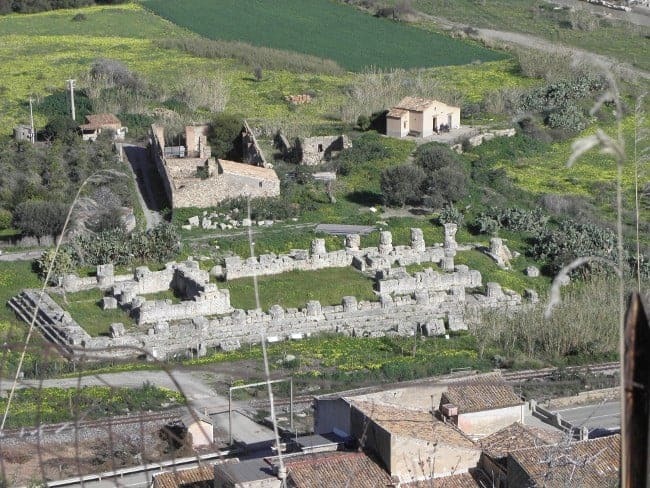 The earliest Greek colony in Sicily was Zankle, modern Messina, founded around 750 BC by settlers from Chalkis on Euboea and from other Greek cities. Incidentally, Zankle was renamed “Messene” in 486 BC, when many refugees from Messenia in the Peloponnese settled there – the city of the same name in that region was actually founded a century later. Zankle was the first of many Greek cities in Sicily, especially in the East and South of the island. 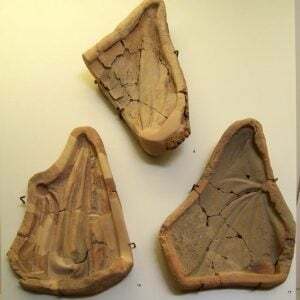 It soon found itself in conflict with the parallel colonisation movement of the Phoenicians/Carthaginians, who were settling western parts of Sicily at the same time. Thus, Himera was founded as a sub-colony of Zankle, to occupy a strategic point with access to good land and to serve as an outpost, a bulwark protecting Zankle’s sphere of influence. That function was to determine the fate – and the fame – of Himera. By 480 BC, Himera had fallen under the influence of Theron, tyrant of Akragas, but was still at the border of the Greek and Phoenician parts of Sicily. That year, Hamilcar I, the king of Carthage, mounted a massive campaign against the Sicilian Greeks. At Himera, his army met the combined forces of Greek allies Akragas and Syracuse. Ancient sources state that the Carthaginians outnumbered the local Greek forces to a vast extent (an estimate places them at 50,000 to 20,000). Nonetheless, the Greeks inflicted a resounding defeat on the Carthaginians, killing Hamilcar in the process and reversing Phoenician fortunes for generations. Legend had it that this famous Battle of Himera took place on the very same day as that of Salamis, marking it as an equally important event in Greek memory. In the aftermath, a great temple dedicated to Zeus was erected at Himera and the city thrived for most of the 5th century. It’s seen better days: the Temple of Zeus at Himera was built to commemorate the 480 BC battle and destroyed after the 409 BC one. That all ended in 409 BC, when Hannibal Mago, Hamilcar’s grandson (not to be confused with the more famous Hannibal Barca), undertook what one might call a rather late punitive expedition. Ignoring Syracuse and Akragas, both of which were still more relevant power centres and bore the responsibility for the 480 BC defeat, he descended on Himera, scared away a Syracusan army and conquered the defenceless city. Its male inhabitants were killed, the women and children enslaved. Himera was razed to the ground, even her temples destroyed. The site was never resettled, although a new town later developed at nearby Thermai. Thus, the very reason why Himera had been built where she was, to block the Phoenician advance in Sicily, became the source of her lasting fame through the (first) Battle of Himera, and also that of her downfall. Whoever made and dedicated our bronze Athena – a century before the first of these events – could not have foreseen Himera’s close historical association with war and battle. Or maybe he could – embedded in the culture he was part of, but also located at its very margins (always an interesting place to be), he will have perceived Athena Promachos as a figure of general relevance, but the act of offering the figurine may also reflect a more personal and topical concern. The Athena Promachos bronze is only one of many fascinating objects on display at Himera – which, in turn, is only one of many sites visited on our Exploring Sicily tour.